Seems a certain Columbia professor is a very angry black man full of rage. Pehaps our national healer can have a beer summit and help cool things down. Preferably after a lengthy jail sentence for assault. Maybe we can throw some hate crime charges in there as well. McIntyre and Davis, who works as a production manager in the school's theater department, are both regulars at Toast, a popular university bar on Broadway and 125th Street, sources said. The professor, who is black, had been engaged in a fiery discussion about "white privilege" with Davis, who is white, and another male regular, who is also white, Friday night at 10:30 when fists started flying, patrons said. McIntyre, who is known as "Mac" at the bar, shoved Davis, and when the other patron and a bar employee tried to break it up, the prof slugged Davis in the face, witnesses said. "The punch was so loud, the kitchen workers in the back heard it over all the noise," bar back Richie Velez, 28, told The Post. "I was on my way over when he punched Camille and she fell on top of me." The other patron involved in the dispute said McIntyre then took a swing at him after he yelled, "You don't hit a woman!" "He knocked the glasses right off my face," said the man, who would only give his first name as "Shannon." "The punch came out of nowhere. Mac was talking to us about white privilege and what I was doing about it -- apparently I wasn't doing enough." "It was a real sucker punch," Dalton said. "Camille's a great lady, always nice to everybody, and doesn't deserve anything like this." Why is this black man so angry? Considering he's whining about "white privilege" before assaulting a white woman, it's no small irony he was released without bail following his arraignment. Should we consider that black privilege? Let's reverse roles and suppose a white professor punched a black student in the face? You think that person would walk without bail? You know the answer. Columbia today would be under siege by the racial arsonists with protest marches and demands for "social justice" and calls for civils rights inquiries. Meanwhile, it appears the victim was under pressure not to make waves. Yup, that's how we roll these days. Get beat up by an angry black man, you keep your mouth shut if you know what's good for you. He added, “What really pisses me off is that no one did anything about it.” Morgan said that he was not sure about what caused the fight, though he noted that, over the past two years, McIntyre has generally been involved in increasingly heated conversations in the bar. Sounds like McIntyre needs some anger management counseling, preferably while he's in prison. But nothing will happen and he'll go on his merry way collecting a nice Ivy League paycheck. At Columbia, McIntyre is considered a World Leader. Lionel McIntyre is currently the Nancy and George Rupp Associate Professor in the Practice of Community Development and the director of the Urban Technical Assistance Project at Columbia University. 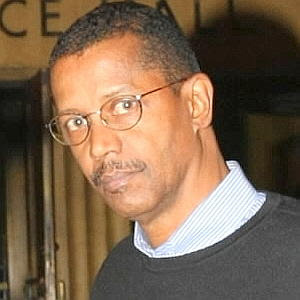 Professor McIntyre received his BA from Dillard University in 1987 and his MS in urban planning from Columbia in 1988. Lionel McIntyre was an honorary fellow at the Municipal Arts Society from 1989 to 1990. He also held the position of director of the Graduate Program in Urban Planning at Columbia University from 1993 to 1999. Currently, Professor McIntyre teaches courses in community development. From the mid-1960s to the mid-1970s, Professor McIntyre worked in civil rights and labor organizing in the deep South.